For the last five years my brother has been telling me about many fabulous restaurants that he wants to take me to, but he just never seems to able to make it happen. Recently he made up for one food promise on the occasion of my Great Nephew’s 11th birthday, who I publicly thank here for selecting Café Bella Sera. And what a restaurant he selected! The Owner/Chef, Pete, I was told, was formally the Chef at one of Fort Lauderdale’s iconic Italian restaurants, so I had high expectations. Our party of seven adults and three children was quickly seated in the dining room, which has a view of the large open kitchen. Waiters seemed to appear, busy getting drinks orders and serving warm crusty Italian bread followed by dishes of olive oil with sliced fresh garlic. And then the family ordering began. We’ll have a dish of this and we must have that and add-on one of those and the kids love the other thing. It was totally out of my hands, strange for me, but I sensed this was to be a memorable, if not immense, meal. 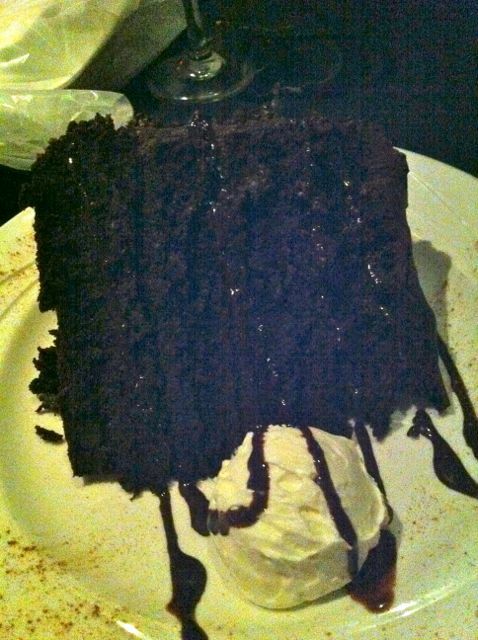 So now finally…here’s what I ate, sampled and otherwise enjoyed. 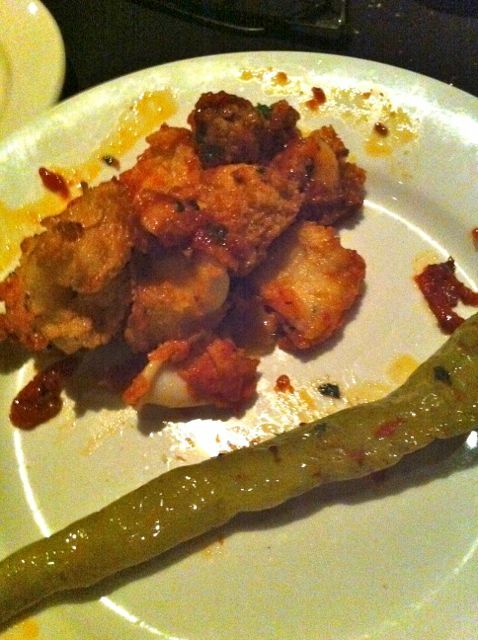 The appetizers started with Fried Calamari Bella Sera Style served with long green hot peppers in a Fra Diavlo Sauce. The dish is delicate, not over done or overly hot and the calamari is cut wide. The flavors in that dish are amazing so I had several helpings of that. Arriving next were Fresh Roasted Red Peppers served with Dry Sopressatta & Reggiano Cheese and Fresh Sautéed Baby Artichokes topped with Toasted Italian Bread Crumbs. 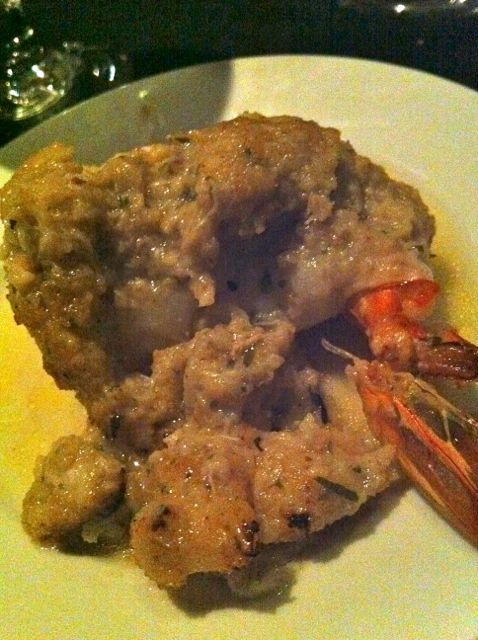 Then the Jumbo Stuffed Shrimp was served. They looked like small lobster tails. By this time I’m filling up fast and dinner is on its way out. 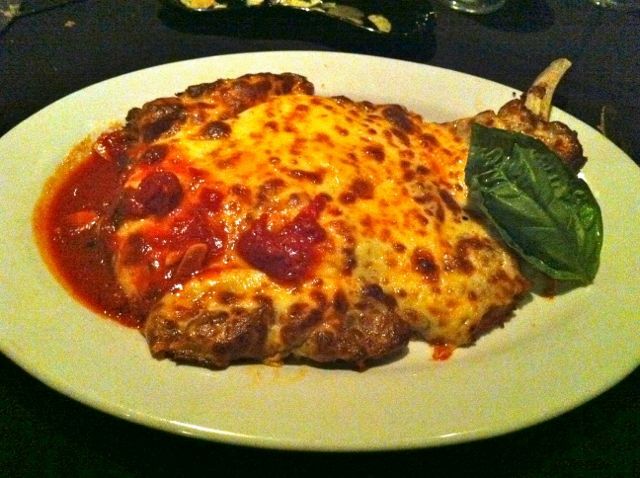 It was recommended that I order the Bone-In Veal Chop Parmigiana. It’s a 16 oz. Veal Chop pounded out, covered with their fresh sauce and cheese and served almost falling off the plate. The veal is tender, the sauce tastes of fresh tomatoes and the generous amount of Mozzarella Cheese is stunning. If you’re hungry and haven’t eaten in a while, this dish is still a challenge to finish. 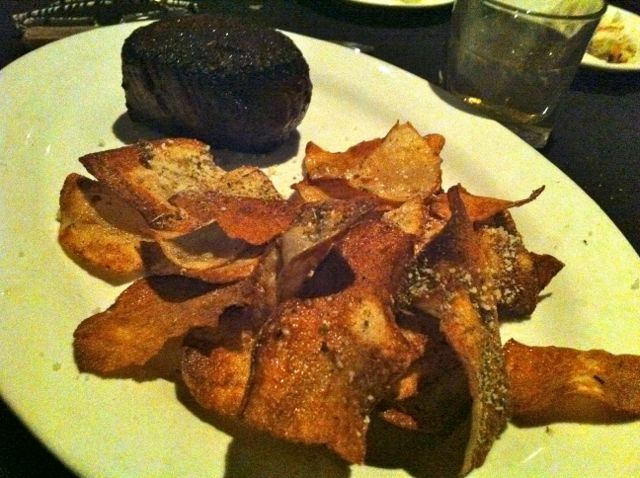 My savvy brother had a Center Cut Filet served with Tuscan Potato Chips. Must say the filet had good flavor and was served at the proper temperature. The birthday boy had Chicken Milanese served plain, which I thought would be dry, but turned out to be moist and tasty. All three kids ate off that portion with some to take home. 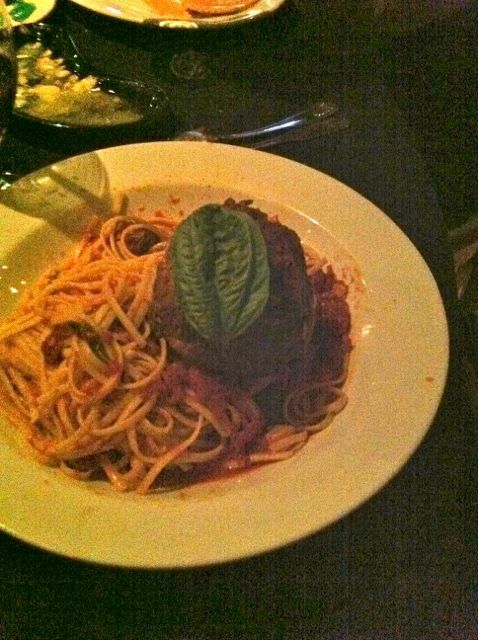 Other dishes of note were Chicken Francaise, Homemade Lobster Raviolis, and Pete’s Famous Meatballs with Spaghetti. Side orders of Sautéed Spinach and Asparagus completed the meal. After the table was cleared, dessert was ordered and served, but I was almost comatose by then and managed to have small tastes of several things with coffee. The birthday boy had a gigantic piece of Chocolate Cake that he couldn’t make a dent in, while the other two kids fell asleep. Wonderful evening. Good food. Must return here soon!!! Check out the menu and specials before you go. 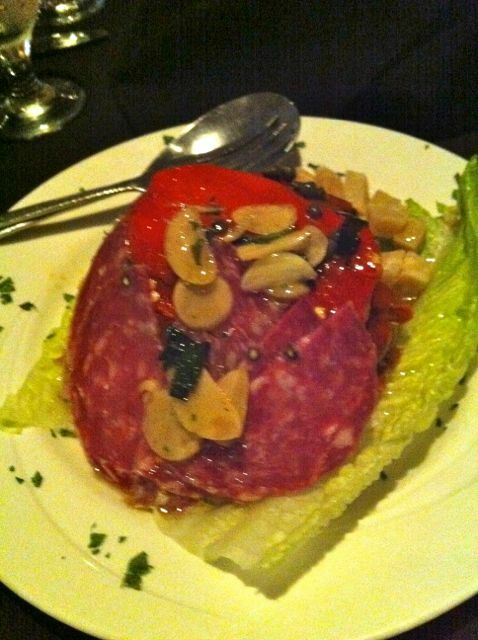 This entry was posted in Broward County, Expensive ($41-$65), Italian and tagged Antipasto, authentic italian cuisine, Italian food, Italian Steakhouse by alanEATS. Bookmark the permalink.